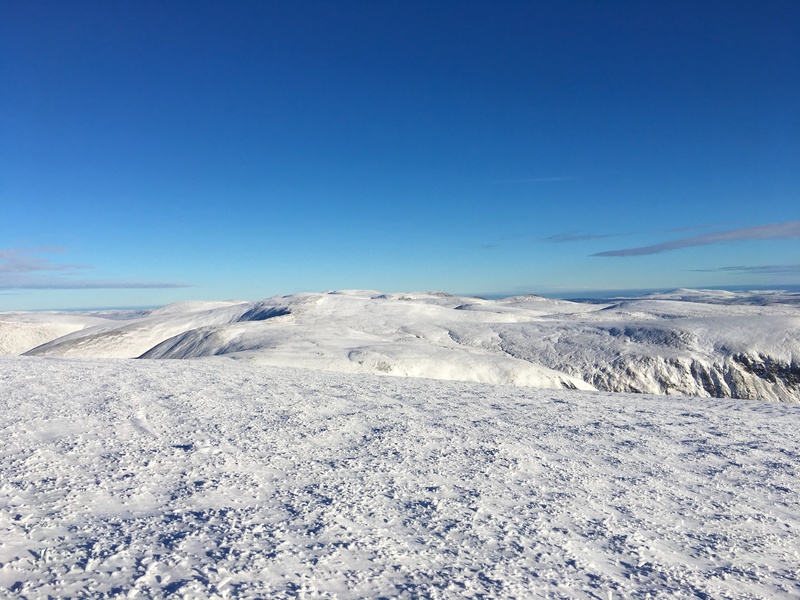 SAIS Southern Cairngorms Blog » Bonus! Well I knew that the winds were going to be light but I hadn’t reckoned on it being such a superb day as it was. 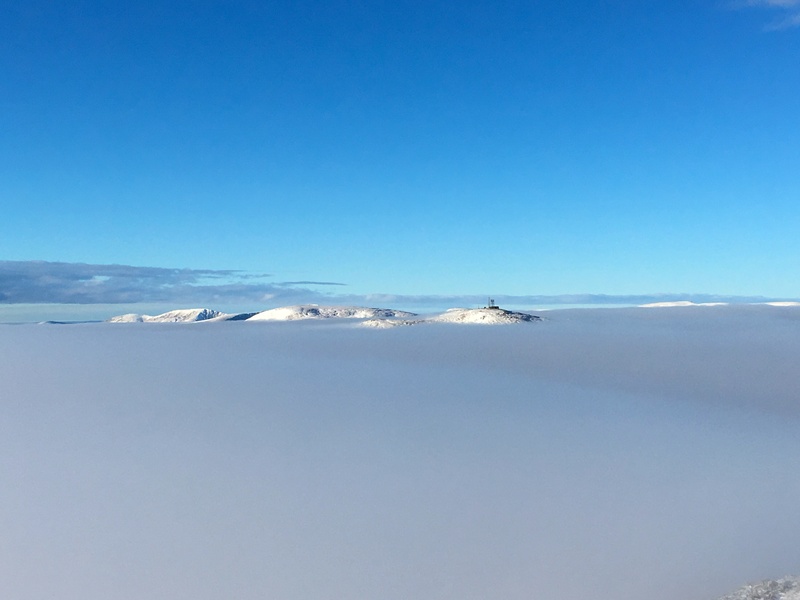 No wind, blue sky and amazing inversion cloud – total bonus! Nothing much has changed in the past 24 hours – there is a general thin covering of snow from valley level. 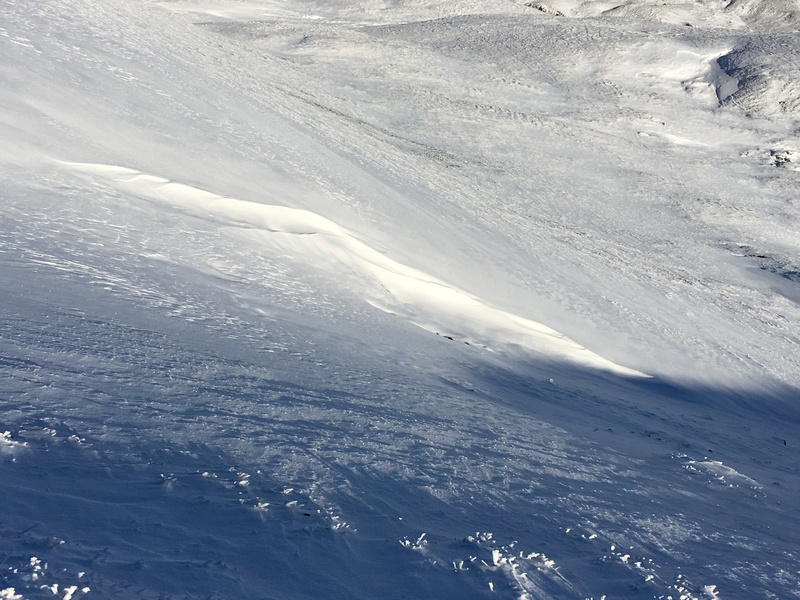 Occasionally you will come across deeper accumulations on mainly SE and South aspects – Up to knee deep in places. But these areas are isolated and generally avoidable. The limited patchy old snow is very firm and there are hidden patches of water-ice under the soft snow to watch out for. Not so pleasant tomorrow as the wind is due to increase with possibly a little light snowfall – However it is Monday that we are all watching now as we have been forewarned that there is some more snow on the way – we are just waiting to find out ‘How Much’ and ‘Which Area’ is getting it. 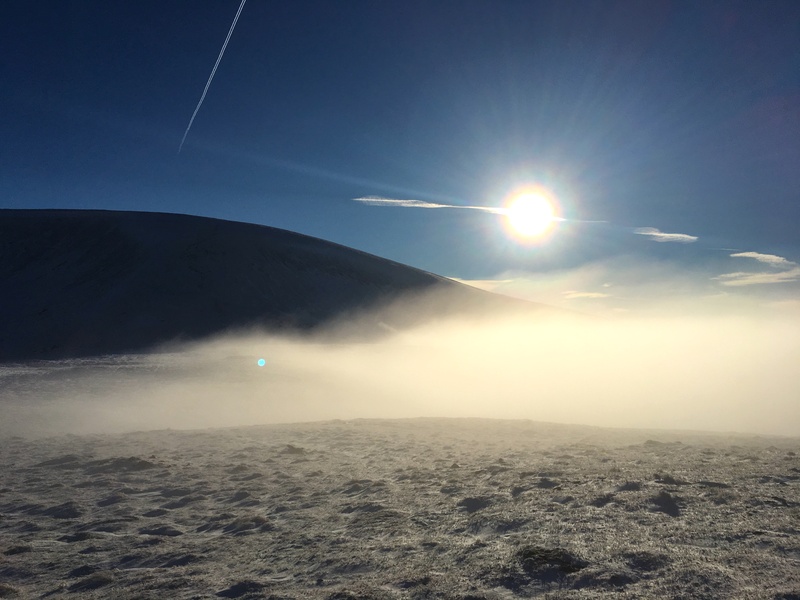 The inversion just trying to creep over the Meall Odhar col at 900m. 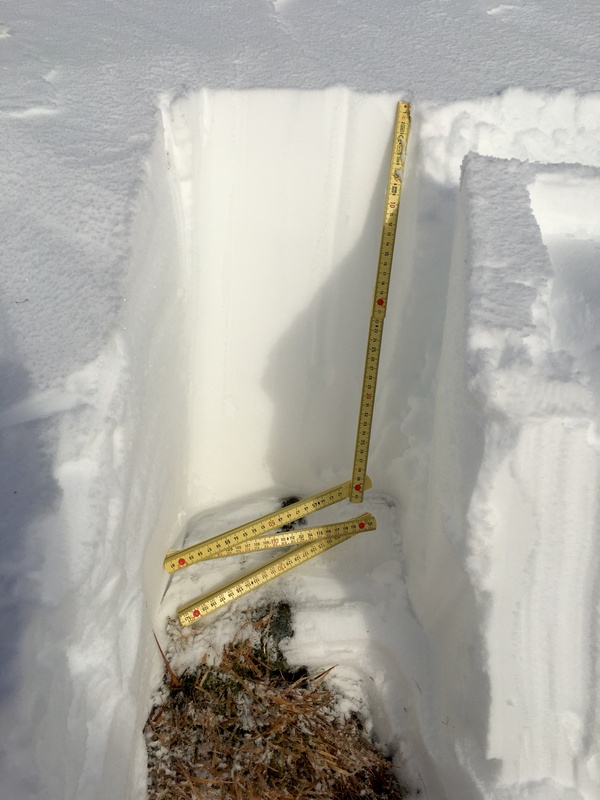 Isolated locations have 45 to 50cm accumulations. 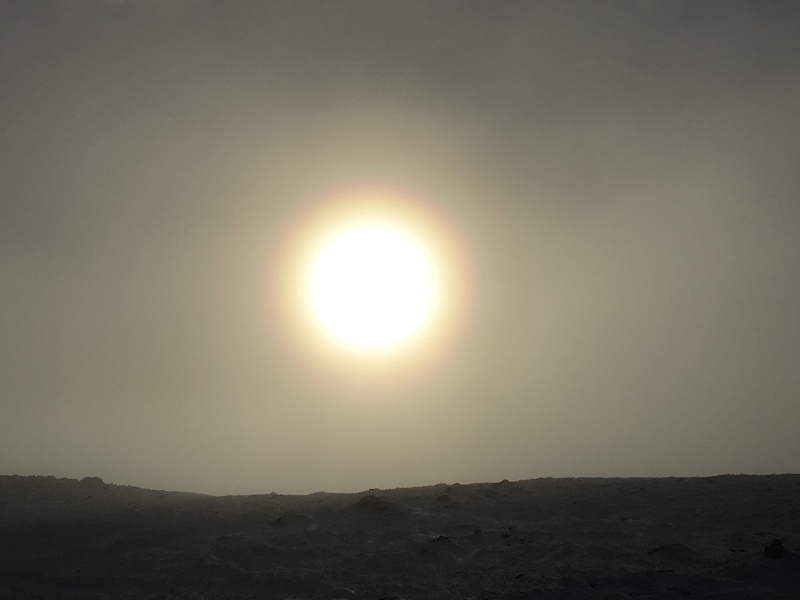 Isolated deeper accumulations exist – this one on an E aspects just below 1000m. 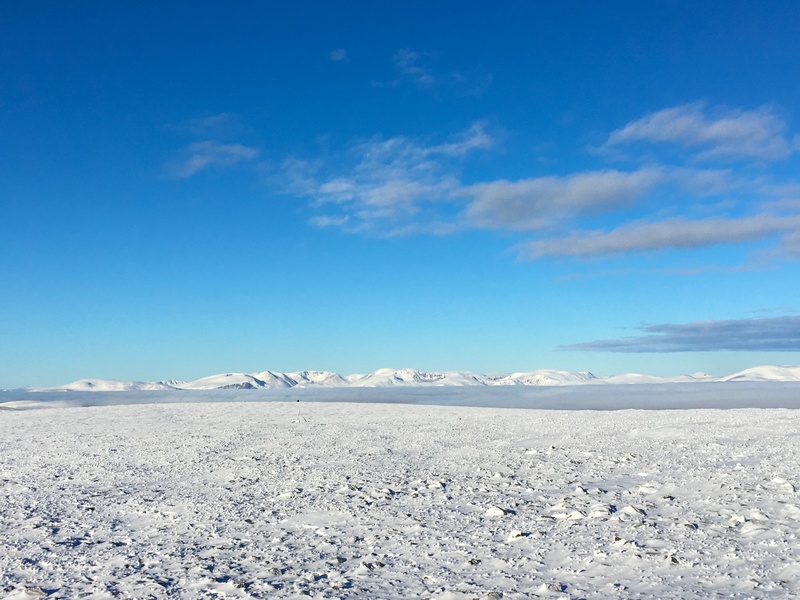 View across the Glas Maol plateau towards the main Cairngorms with an inversion in the glen.